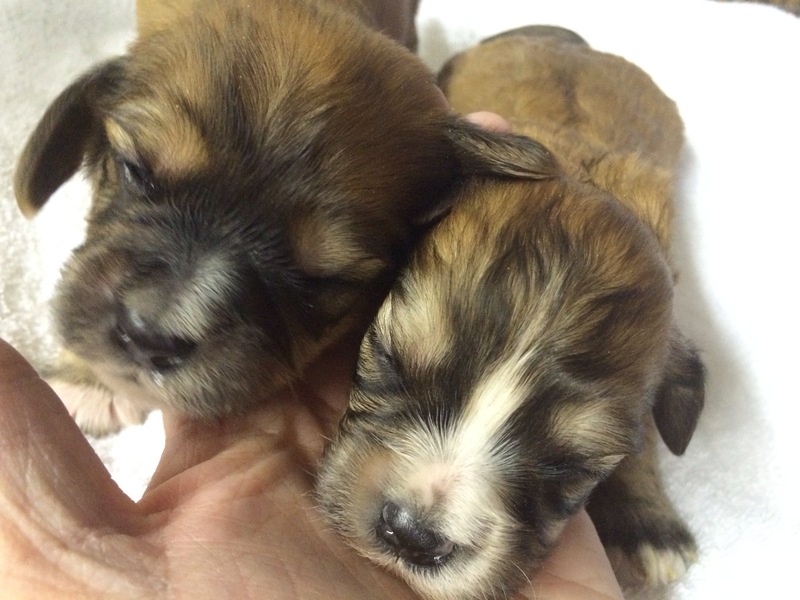 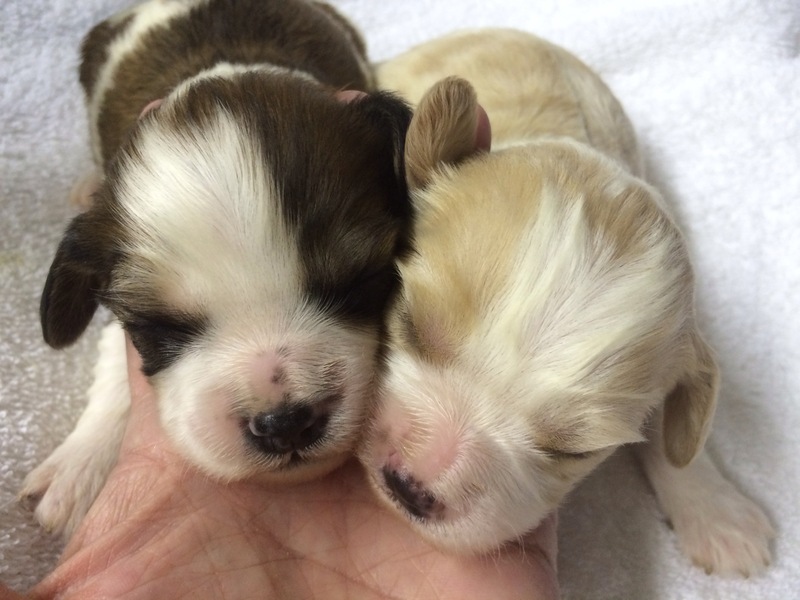 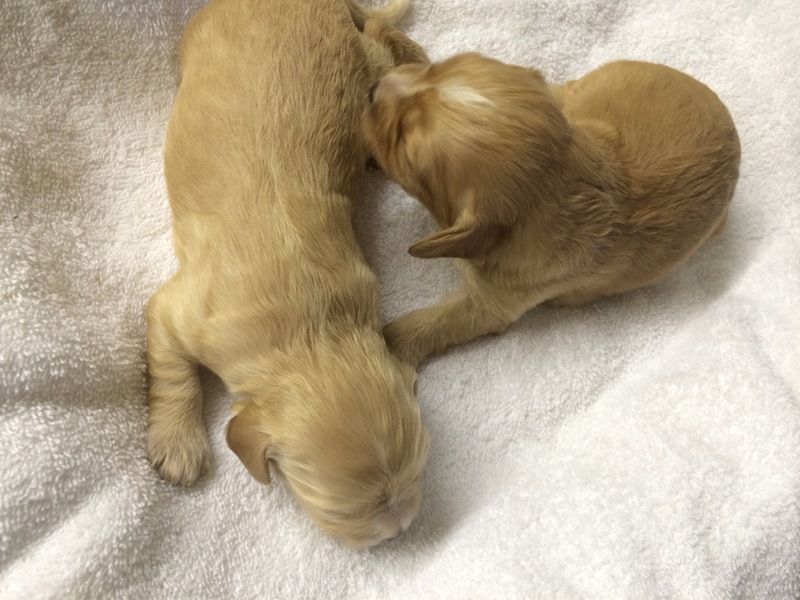 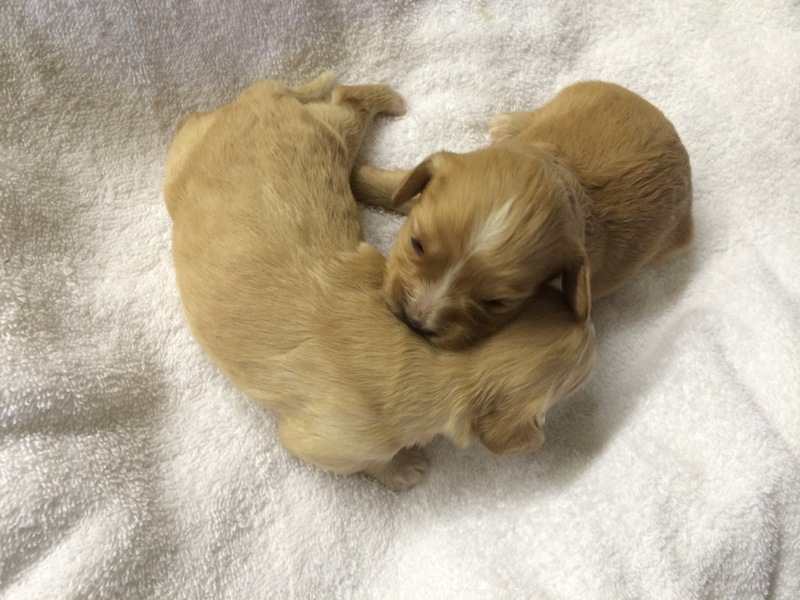 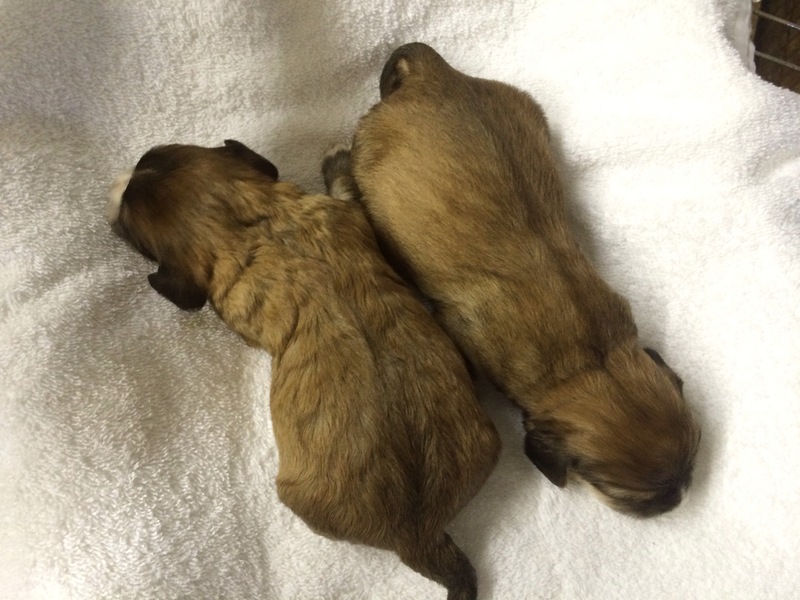 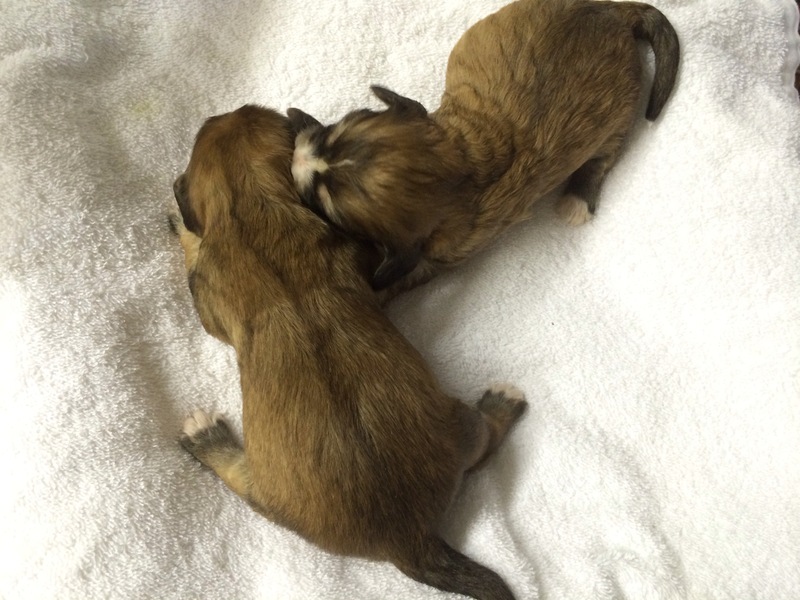 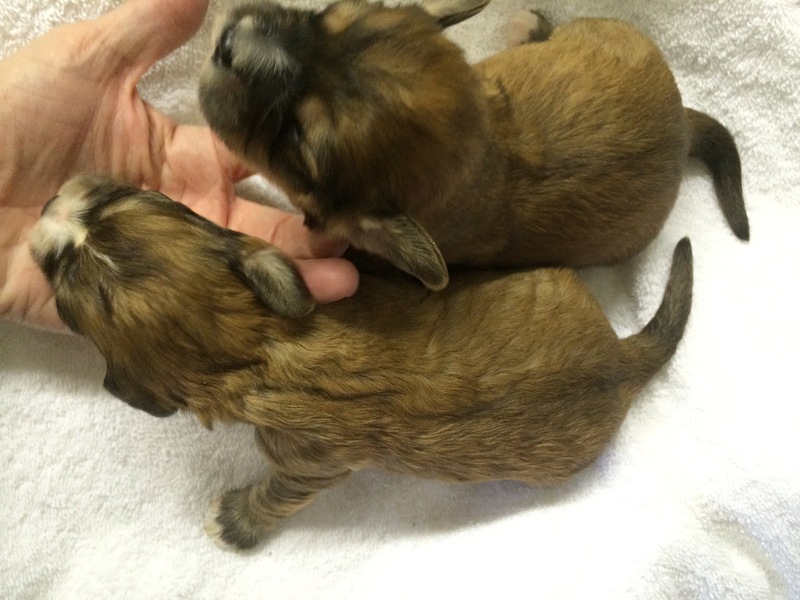 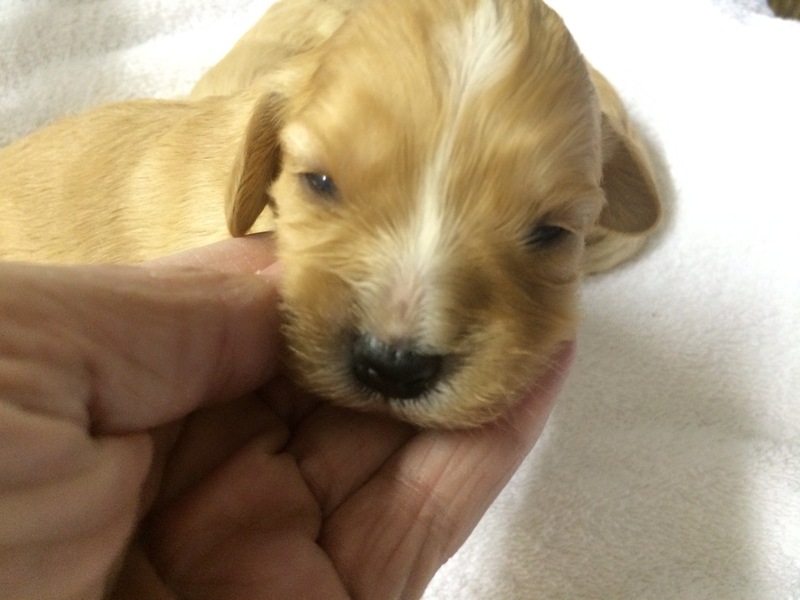 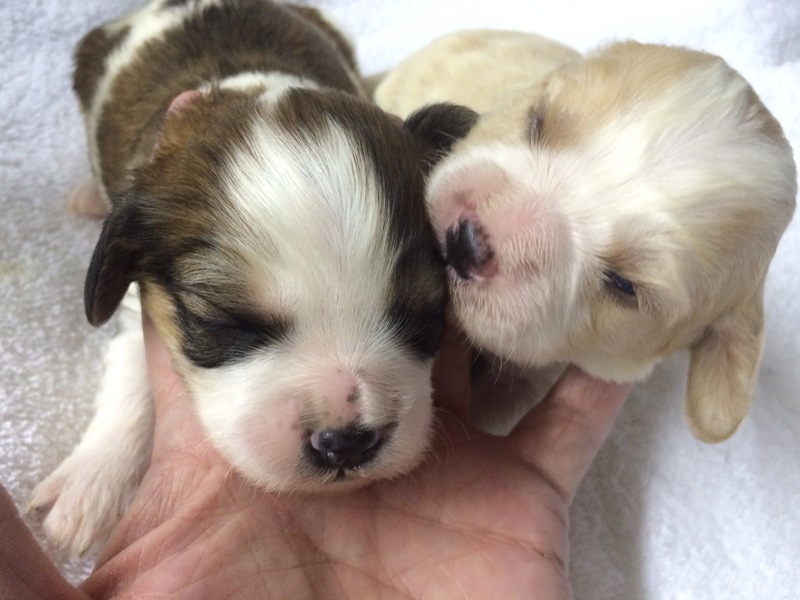 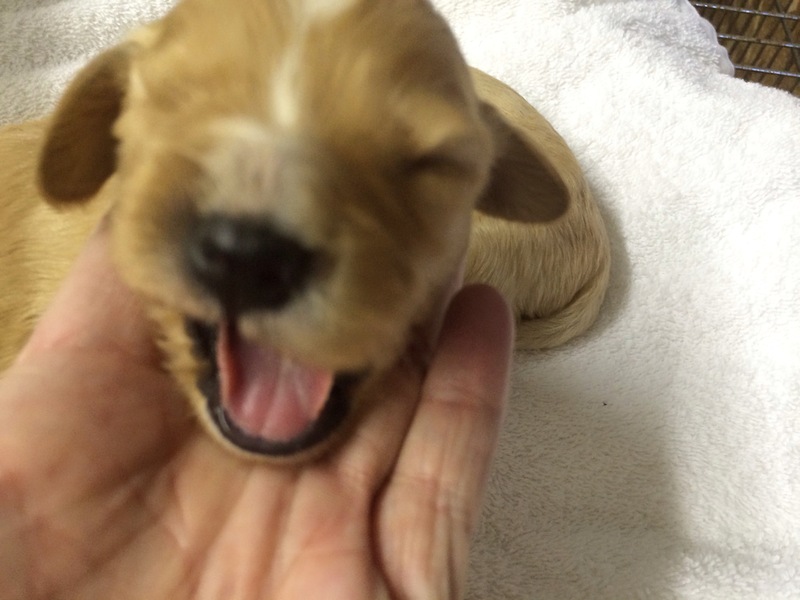 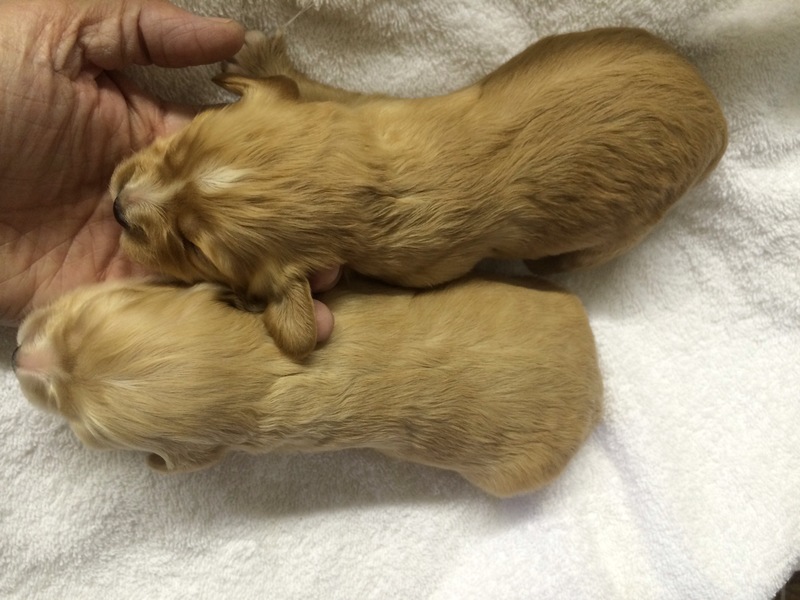 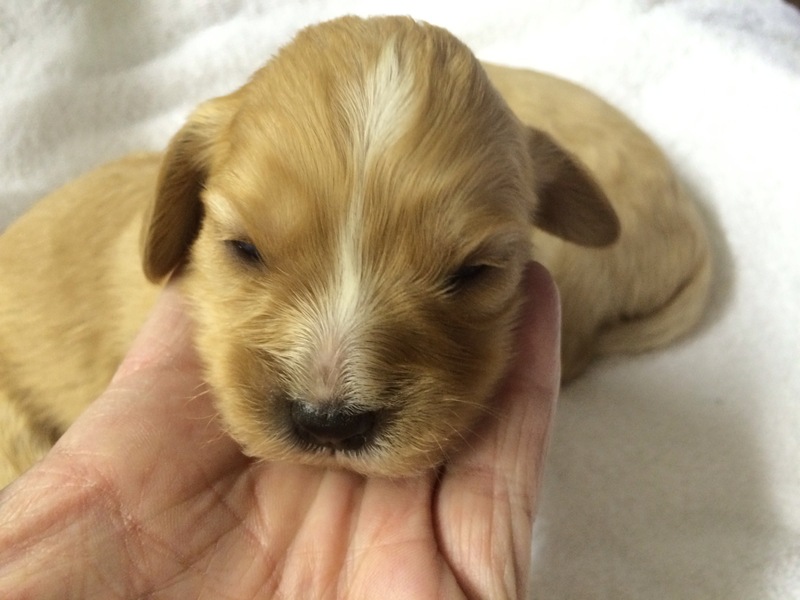 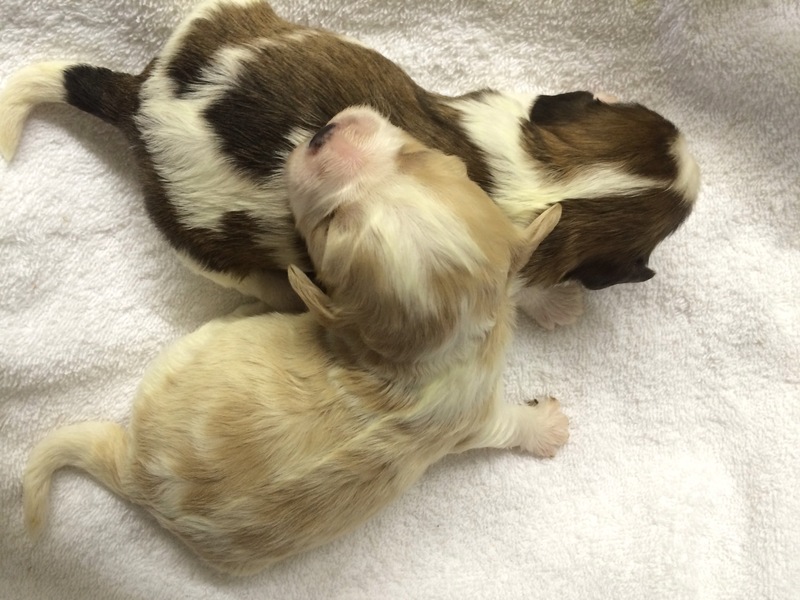 Abbey had 6 pups, 2 golden females, 2 solid sable males, a sable/white female, and a blenheim male. 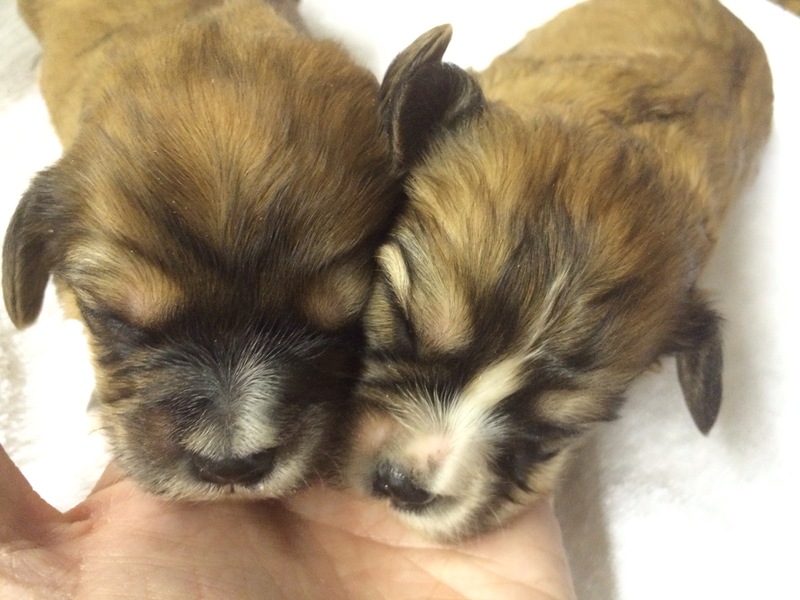 They are 1 week and 5 days old today. 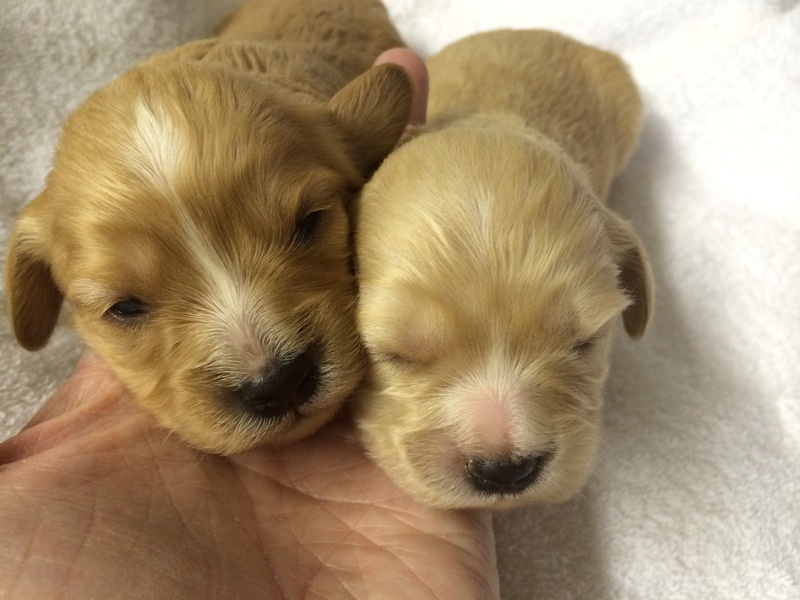 They are growing well and everything is going smoothly!